Should You Pair CCTVs with Door Entry Automation? Door-aid is an online resource website for door-opening systems. If you need a mechanized or automatic system to open the doors of your home or a small business establishment, this is the place for you. You’re probably looking for all sorts of product designs, models and brands as well as information, so you can make an educated decision; you definitely came to the right place. Door-aid.com has gone out of its way to become the online repository of everything and anything related to door-opening systems. Whether we're talking about fully automated systems or even semi-manual setups, you can find all the products that you should consider, on this website. Look through our many different categories of door systems. We are confident that you would find all the products that you are interested in. Whether you already know or heard of a particular model or brand, this is a great place to start because you don't need to know everything. You don't even need to know the full name of the product you're going to check out. You just use our on-site search box to look up brands and models, and you should have enough information to start with. Keep in mind that a lot of our visitors start out looking for a particular brand and model, only to end up buying something else that is entirely different. They do so with confidence because they tend to check out an item, thinking that it's the right one for them; simply to discover later on, there is an alternative that actually makes a lot more sense. By listing out different types of door-opening systems and their related brands and models, it is our intention to give you all the information you need, so you can make a decision that you will never regret. If you are stumped as to why certain door systems differ in price, operations, and level of brand loyalty, check out our references. You can see design differences and how they impact the overall performance, as well as the benefits brought to the table by the differing door-opening systems. Through becoming familiar with our reference materials, you give yourself a better chance at making greater decisions, by not forming them completely in the dark; because now, you have something to compare it with or relate it to. Different brands tend to specialize in various ranges of technologies; however, just like with any industry, there are brand specialties. We have laid out our impressions of the most common brands in the door- opening system company, so you can get the inside scoop on both the advantages and disadvantages of these brands. If you work for a company that does door-opening device design, this is the place for you. Here, you can interact with other designers, and throw in a few ideas. When it comes to innovation, the best ideas are produced when it's been bounced around by several people back and forth, who are equally passionate about a particular device or technology. Make no mistake about it, our vibrant community of inventors, innovators and designers can help you brainstorm new ideas or fine-tune your existing ones. Most people who visit our website come here for the product reviews. We have assembled an extensive collection of door-opening systems and reviewed them thoroughly from the point of view of actual end users. If you are looking to make a truly informed decision regarding this, check out our product review section first. If you have a door-opening system, chances are you probably will need its service at some point in its product life. This is where our service review system comes in very handy. You don't want to select a random service provider that is a sure recipe for disaster. Do yourself a big favor and maximize the value of your hard-earned dollars when retaining these services – by consulting with our service reviews and ratings first. Don't hire the wrong company. If you belong in any type of door-opening industry – an owner, an employee or a retailer of mechanisms and parts – feel free to sign up for our directory system. 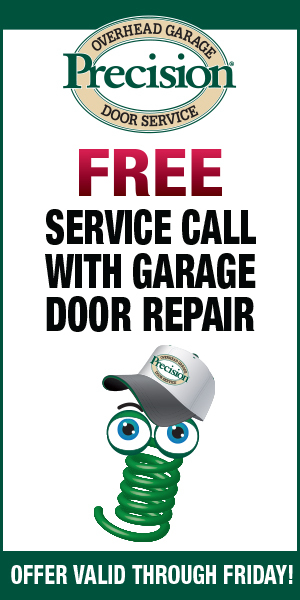 This offer also applies to service providers; whether they repair, install or maintain door-opening systems. Get found by listing your business here. By listing all the information above, we make sure that door-aid is the Internet's premier online resource for anything and everything related to door-opening systems. Door-aid is an online resource website for door-opening systems. Door-aid.com has gone out of its way to become the online repository of everything and anything related to door-opening systems.